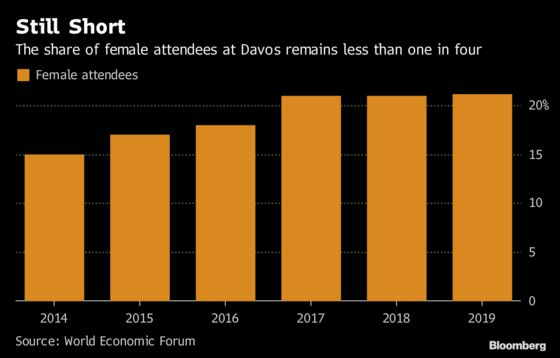 (Bloomberg) -- These are uncomfortable times for the archetypal men of Davos — and at least one woman. Established in 1971 to support a global, capitalist vision of the future, the World Economic Forum in Davos this year also offers a reminder of the public humbling of some of its most visible champions. Dozens of the assembled business leaders and exemplars present and past have been brought low by a wide range of misconduct allegations, including sexual harassment, mismanagement and financial misconduct. 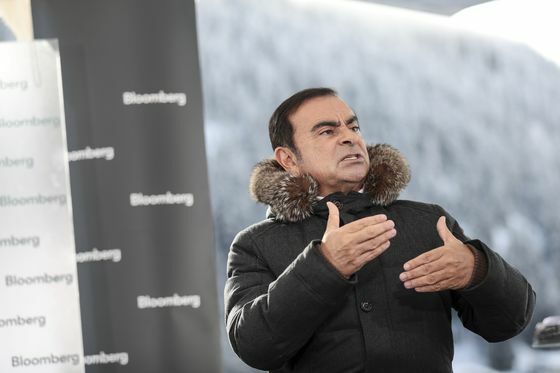 This year, Carlos Ghosn will sit out the forum in a Japanese prison, accused of misusing corporate funds at Nissan Motor Co., charges he denies. Sir Martin Sorrell, another fixture of the past decade, is not on the list of attendees. He quit his WPP advertising agency in April after allegations of misuse of company funds. Others are returning, scandals be damned. 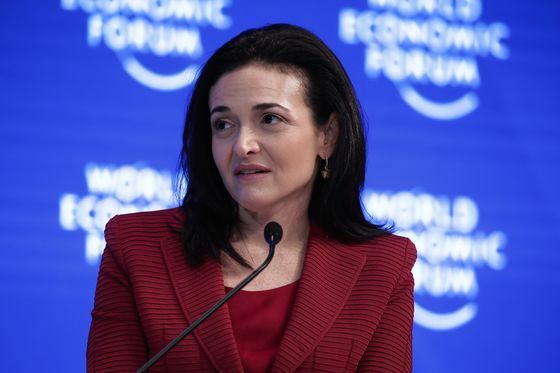 Facebook’s Sheryl Sandberg will be back for at least the 11th consecutive year, dogged by questions about her role in a slew of controversies. Bridgewater’s Greg Jensen, who has vociferously denied allegations of sexual harassment, is also on the attendee list, along with Chinese billionaire Richard Liu, who was recently arrested but not charged in a sexual assault in Minnesota. While embodied by a few high-profile attendees, the whole global business community represented in Davos has faced widespread charges of bad practices, including sexism and harassment, insufficient privacy protections, hostile work environments, and a growing chorus of ageism complaints. “The starting point to anything and everything Davos has ever done, at least according to our research, is some sort of criticism of capitalism or the global elite,” said Markus Giesler, a consumer sociologist and a marketing professor at the Schulich School of Business at York University in Toronto. This year, MeToo and other corporate misdeeds join climate change and inequality among issues where Davos has an opportunity to demonstrate leadership, he said. This year the forum has at least five sessions designed to look at the challenges and opportunities for women in the marketplace or society -- panels such as “The Big Picture on Women in the Workforce,” “Women in the New World of Work,” and “Violence Against Women.” The phrase MeToo, however, is absent from the 111-page agenda. Women will comprise 22 percent of the attendees this year, little changed from 21 percent last year, according to WEF data. It’s a marked improvement over 2014, when women made up just 15 percent of the attendees. In many ways, the WEF breakdown mimics the broader global opportunity for women, where gender parity in pay and power is still probably a century away, according to an annual WEF study released last month. But even if women aren’t gaining much in their overall numbers at Davos, the women attending are more powerful than in the past as women gain higher corporate and government roles, said Pat Milligan, senior partner and global leader of When Women Thrive at Mercer. “Five years ago you had to work really hard to find women leaders, now there are great women leaders,” Milligan said. The repercussions for alleged misconduct have at least one tangible impact on this year’s Forum. 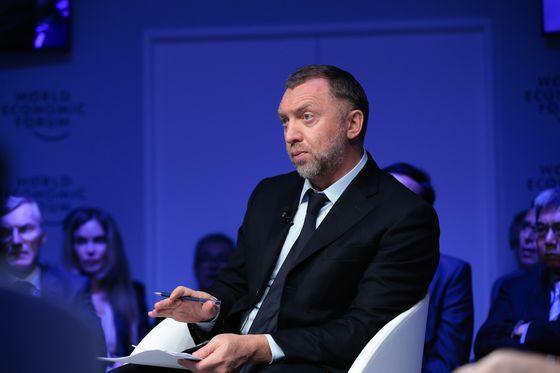 Russian billionaire Oleg Deripaska, a Davos fixture for at least 11 years, seems to be making concessions that reflect repercussions from his ties to Russian President Vladimir Putin who is accused of meddling in U.S. elections. After spending much of the last year under U.S. economic sanctions, Deripaska said on Instagram Monday that he’ll be fishing on Lake Baikal, in Siberia, instead of attending Davos. Thus his annual rowdy party, where executives and world leaders rub elbows with scores of attractive Russian women, is reportedly on hiatus.